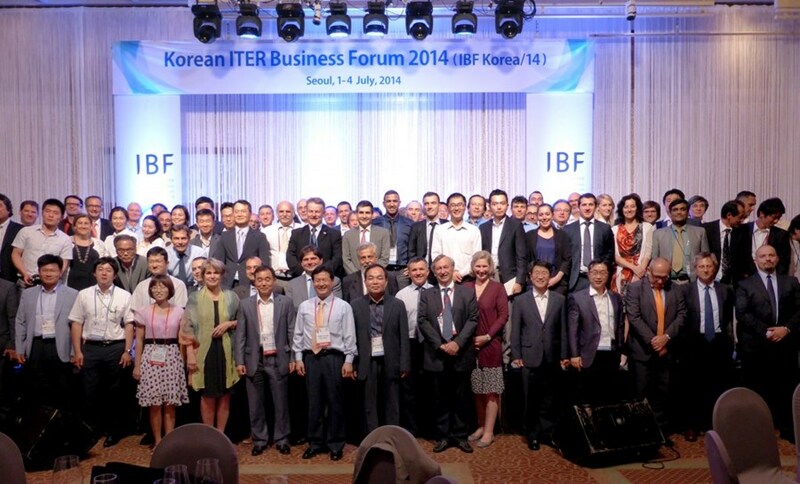 IBF Korea/14 was organized by the Korean Domestic Agency for ITER with the participation and support of the ITER Organization, the European Domestic Agency (Fusion for Energy) and the other ITER Domestic Agencies. The ITER Business Forum, organized by Agence ITER France in Europe since 2007 to highlight the business opportunities around ITER and bring companies together to form partnerships, travelled to its first Asian venue this year from 1 to 4 July. 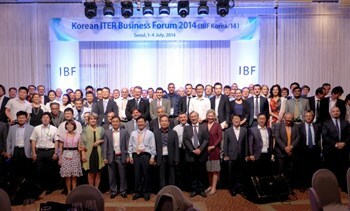 IBF Korea/14 aimed to provide industries with fresh information on the status of ITER, its first industrial achievements and forthcoming calls for tenders. There was a special focus on the procurement status of the Domestic Agencies and their main suppliers (manufacturing, potential partnerships, subcontracting or local support). There were high expectations because an ITER business event of such scale and ambition had never been attempted before in Asia. And the bet was won! Nearly 220 participants from 120 different companies attended the event—43 percent from Europe, 33 percent from Korea, but also 9 percent from China, 7 percent from Japan and 3 percent from India. 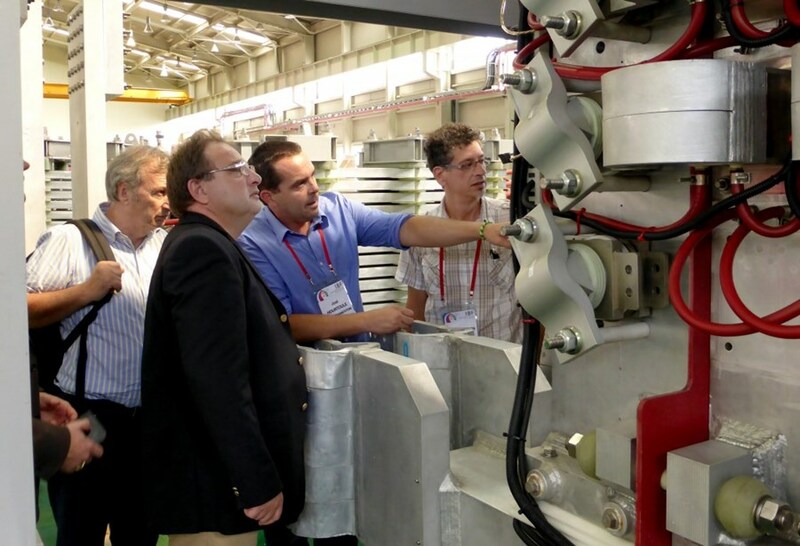 Seven thematic sessions allowed Asian and European suppliers that are already on-board the ITER Project to present their experience and achievements to date. 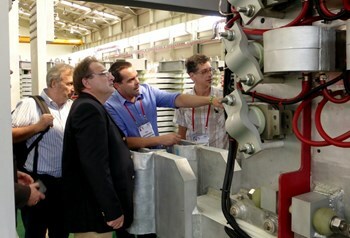 And specific attention was brought to ITER work packages that will be procured in Asia, such as ITER's power supplies. Joel Hourtoule, head of the Electrical Power Distribution Section, gave an extensive presentation of the present status of design and manufacturing of the ITER power supply systems and cable engineering, as well as the ITER Organization strategy for on-site installation and assembly. Chinese and Korean suppliers followed with presentations of their design and manufacturing activities. Let's ask two of them, Dawonsys (Korea) and Rongxin Power Engineering (China), to give us their feedback. For Kwang Cheol Hwang, Dawonsys Project Manager, "It was a good opportunity to share information and discuss possible collaboration with European companies for assembly and installation on site after delivery. And it was also a good experience to introduce our company to the participants of IBF Korea." Jinru Lin, Rongxin General Manager, gave her personal feeling after the event: "This was my first participation in IBF and I feel everything was perfect. It was great not only to have this opportunity to present the achievements of RXPE for the ITER Project but also obtain abundant information from the sessions and engage in one-to-one meetings that will definitely facilitate RXPE's business. Furthermore, the technical tour was also very impressive." Over 150 one-to-one meetings had been scheduled in advance by participants; as many informal appointments were also held over the course of the forum that allowed companies to establish or reinforce contacts in view of forming partnerships for ITER and beyond. There was a clear opportunity to establish contacts between European and Asian companies. The visits to the superconducting tokamak KSTAR and to the Dawonsys industrial site offered participants further opportunity to network informally.